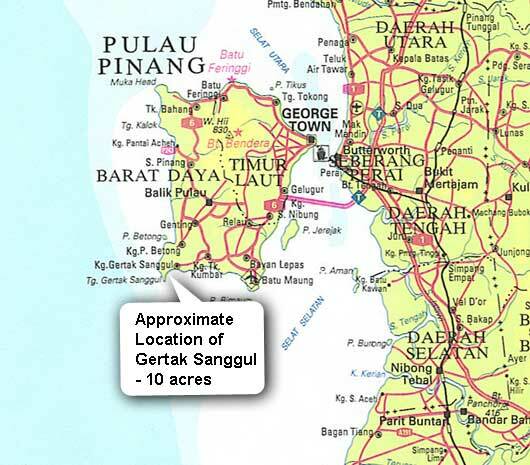 The subject property is located at the South-Western tip of Penang island. However it faces the east, that is it faces Batu Maung and the mainland. During the tsunami of December 2004, it was sheltered by the mountain ridge (to the west of the land).